At Blizzcon this year there was a definite sense of anger from the players towards the instance situation in World of Warcraft. At several panels people randomly shouted "Cannot create additional instances" during lulls in the discussion. When someone finally manage to bring up the topic during a Q&A session, the developers acted surprised. Their response was that the issue was already resolved and being implemented on the servers as they speak. Most people thought this meant Blizzard was finally selling off some of their money hats and buying more processing power. However, it looks like Blizzard is approaching the problem from a different route and focusing on creating a giant server pool for the instances. This should allow individual servers to avoid the "cannot create additional instance" problem that occurs during peak hours. The theory goes that different servers are in different time zones and thus not every realm will put a large strain on the instance server pool at the same time. I'm not sure if this will fix the issue completely, since emblems of conquest have revitalized dungeon running. At the very least it should help during the weekdays when the prime time is for concurrent users is small (7-11pm). Plus, the change does allow Blizzard to introduce a new cross server LFG tool. 1. Groups have to be formed using the LFG tool. 2. The instance portal on each server then links to the same zone. 3. As a side bonus the system will reward people who use the tool to form PUGs. 4. Rewards are based on successfully completing a dungeon with a PUG. Blizzard was vague on what kind of rewards would be given out for successfully completing a dungeon using the new LFG system. I don't expect anything major or else you would have players trying to game the system. Most likely by having premade groups form up using the tool. Instead I think it will probably be something along the lines of an extra emblem or perhaps some honor. The system is a great idea and complements the new expansion well. New worgen and goblin players should be able to get groups and explore some of the interesting low level dungeons like Wailing Caverns and Black Fathom Depths. The only problem at the moment is the actual process of moving each realm into the giant server pool is kind of complex. It seems Blizzard has had to cap the number of instances for realms which haven't been moved yet as servers are being juggled around. Thus for some realms the "cannot create additional instance" problem has gotten worse during the last couple of weeks. Apparently, moving all the realms at the same time wasn't an option so they've been doing it piecemeal. If you're interested there's even a list of which realms have already been optimized. Unfortunately, my realm still isn't on the list so most of my weekend was filled with daily quests and not dungeons. By the rate Blizzard is working on the issue though it looks like September 2009 should mark the end of the dreaded instance shortage. One of the more interesting system revamps announced for Cataclysm was the introduction of rated battlegrounds. This should be a welcome change since its promises to balance out the PvP systems in World of Warcraft. At the moment the arena system dominates the PvP landscape and often gives an advantage to players in Wintergrasp and Battlegrounds. This is mostly because the arena system is the only way for melee classes to achieve decent PvP weapons. After the Burning Crusade the developers made a decision to tightly control epic weapons since so many people stopped raiding. This is why arena weapons during the Wrath of the Lich King have never been made available for honor. It wasn’t necessarily a bad idea to reign in the free epic weapons, but it’s gone too far in the opposite spectrum. Arenas may be almost exploit free and have better matchmaking system nowadays, but its still a poor decision to make it the main gateway for PvP gear. The very nature of combat in World of Warcraft makes small squad based fights very dependent on gear and luck. Battlegrounds and to a lesser degree Wintergrasp depend a bit more on coordination and strategy. In arenas things are simple and you just have to kill your enemies, while in battlegrounds you are more concerned with objectives and defeating them. Both are viable forms for PvP so it does seem a bit weird to reward one over the other. As you can see there are some pretty big changes to both the battleground system and arena system in the upcoming expansion. It looks like Blizzard is serious about making both systems viable ways of gaining PvP gear. Also since rated battlegrounds require pre-made teams you can expect players to police the system and kick out any bots or slackers after a single match. Most likely the only reason Blizzard has been so hesitant to reward battleground play in the past has been because of the honor farming problem. Well once again none of my pictures of the costume contest came out too well, but my little video camera was able to film the viewscreen for the world of warcraft dance contest. The winners seemed a little random this year. Though the first place winner definitely showed some impressive footwork. Some other contestants who I thought were good and got passed over. I was lucky this year since I had a friend who managed to charm tickets from the Blizzcon website. There were three of us refreshing the website constantly, but somehow he managed to get in as number 20 in the queue while I was number 8,000. 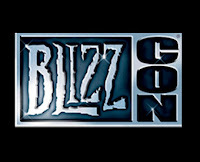 Blizzard has to come up with a better system for selling Blizzcon tickets one day. Even one of the VPs admitted that in the future they might just have to move the convention out of Anaheim and get a bigger venue. This year there were about 26,000 people attending and things were definitely more crowded even with the added hall. Still being stuffed into a convention hall with 26,000 nerds was a small payment for getting a lot of first hand experience with the next generation of Blizzard games. Just like last year they had demos for Starcraft 2, Diablo 3 and World of Warcraft. Starcraft 2 had the Terran singleplayer campaign up and running though I spent all my time trying to kill my friends in multiplayer. The Diablo 3 demo had the new monk class and allowed the exploration of a desert zone with multiple cave-like dungeons. It always had the longest line, but was proably the most enjoyable demo. The World of Warcraft demo had the goblin and worgen starting areas, but overcrowding made it hard to complete any of the quest objectives. I’ll have some pictures and videos of the contests to put up as soon as I have everything organized. I'm very glad that Blizzard is going with a revamp of the old world instead of just focusing on end game content. However, the sparse amount of video and details make me think that this expansion is still pretty far away. Most likely its more then a year away. Luckily, Blizzard seemed pretty sure about SC2 being ready for a 1st quarter release since only the BattleNet revamp is holding it back.